Campeche's historic centre with all its buildings gleaming with brightly coloured facades itself was worth the driving effort. It is no surprise when you realise that the centre is an UNESCO world heritage site and hence, should be pretty to look at, at the very least. Campeche used to be a prime target for the pirates - the single biggest reason how Spain lost all the wealth that she looted from the new world. In a futile attempt to stop the bleeding, Spain built quite a number of forts to protect the city and today these are prime targets for the tourists. We visited the most celebrated fort in Campeche - el fuerte de San Miguel (the fort of St. Michael), home to the petite Museo Arqueologico (archaeology museum). The trip was made worthwhile by the two stunning jade masks exhibited in the museum and a brilliant view of the city from its roof. But what made the trip special was our chance to witness a piece of Yucatan warmheartedness. Tired of getting lost in the city streets, we had gone to San Miguel by bus. Sending us back the same way somehow felt cruel to some locals and they went out of the way to drop us back to our hostel in their car. What made the gesture so special? - before we got into the car, it already carried 4 passengers. They did not mind a squeeze as long as it saved us a walk to the bus stand! The final drive was 400 km long taking us from Campeche to Chetumal. What made the trip even longer was an additional 120 km detour to visit the most secluded of all Mayan ruins, Calakmul - situated deep in a biosphere reserve. Although the ruins were interesting and the setting dramatic, the long drive and the longer walk to the ruins made it a bit of a drag. Like the Puuc route through Uxmal, the route from Campeche to Chetumal are also lined with Mayan ruins - these go by the sobriquet of Rio Bec sites. 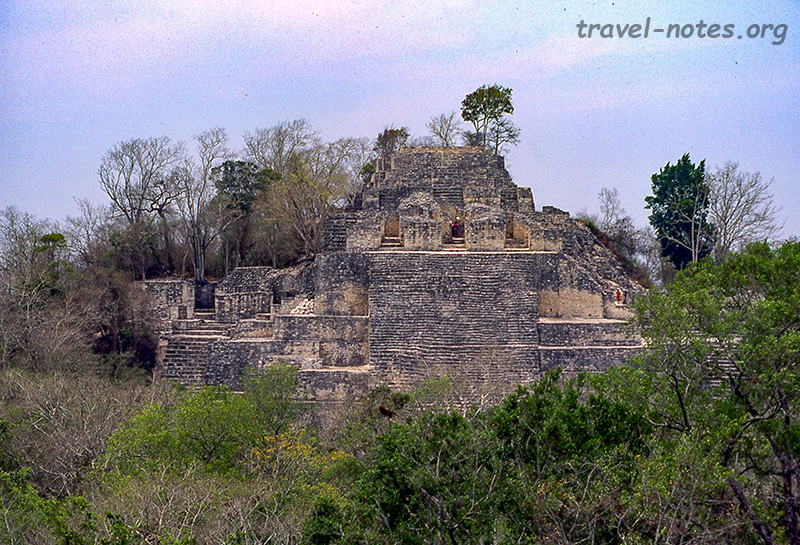 Thanks to the Calakmul detour, we had time to visit only one of them - Becan, the best preserved of the lot. 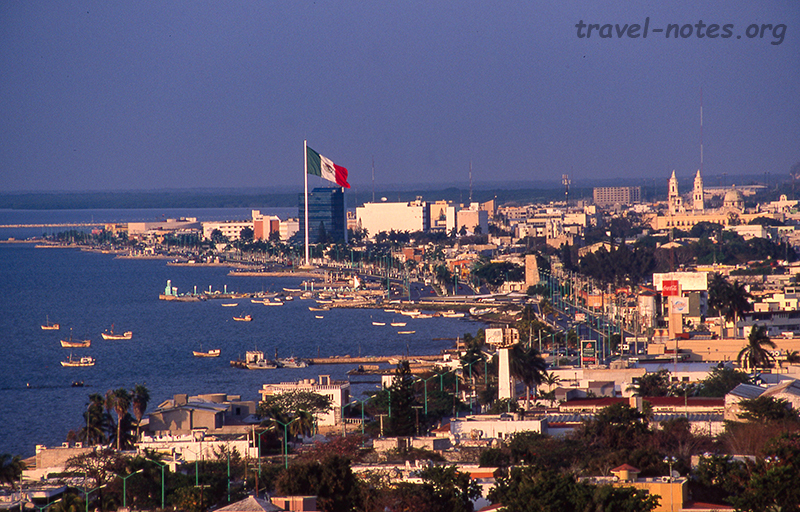 Many consider our eventual destination of the day, Chetumal, as nothing but a convenient resting place situated close to Belize on the south and the Mayan Riviera on the north. But the city does have one little gem - its Museo de la Cultura Maya, easily the best of the region. The fact that all the exhibits are copies is overshadowed by the array of miniaturised models of the entire ancient Mayan world. Click here for more photos from Campeche and Chetumal. 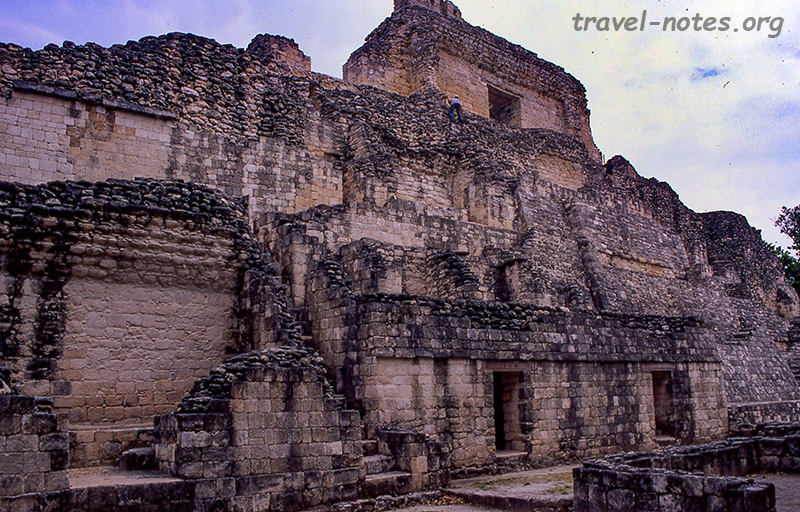 Click here for more photos from Calakmul and Becan.